Natalia Vodianova and Antoine Arnault, along with younger children - 4-year-old Maxim and 2-year-old Roman - are on holidays in Italy. 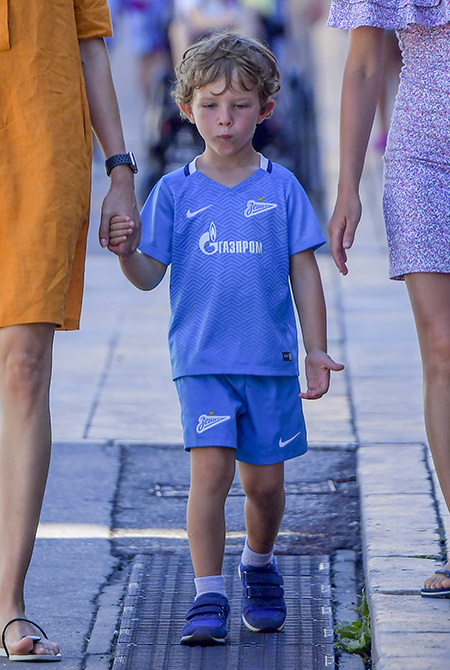 Three days ago they were in Portofino, where the paparazzi managed to make the first photos of the youngest son of the couple, and now Antoine and Natalia moved to Saint-Tropez, and this time photographers were able to capture the face of their eldest son Maxim for the first time. Recall, Natalia Vodianova and Antoine Arnault met in 2007, and they started dating later - only in 2011. Prior to this, the model was married to aristocrat Justin Portman. In May 2014, their first common son Maxim was born, and two years later - in June 2016 - Roman.